Avendus Capital advised Ujjivan Financial Services Private Ltd and some of its shareholders on its INR 6,000 million financing transaction including a combination of primary issuance of shares and partial exit to select shareholders. 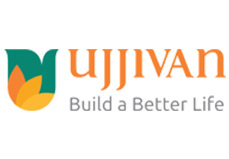 Ujjivan Financial Services Private Ltd, one of the leading microfinance institutions in India has culminated a financing round of INR 6,000 Mn, through a combination of primary issuance of shares and partial secondary exits to a few of its existing shareholders. The transaction witnessed participation from CX Partners Fund I Limited, CDC Group Plc, NewQuest Asia Investments II Ltd and Bajaj Holdings. Existing investors IFC and Elevar Equity Mauritius have also invested into the company as part of the transaction. Avendus Capital Pvt. Ltd. was the exclusive financial advisor to the company and the selling shareholders. The Company intends to utilise the proceeds to expand its loan book across products (joint liability group lending and individual lending to economically active poor) and geographies. Founded in 2005, Ujjivan is one of the largest microfinance institutions in India with gross managed assets of more than INR 31,000 Million. Ujjivan operates on both joint liability group lending and individual lending model. With a network of 423 branches across the country in 21 states and 3 union territories, Ujjivan has the largest geographical footprint among MFIs. It has positively impacted the lives of more than 2 million unbanked and under-banked customers in urban, semi-urban and rural areas, by addressing the financial needs for micro enterprise, home improvement, education & emergencies. Avendus Capital Pvt. Ltd is a leading financial services firm, which alongwith its associates, provides customised solutions in the areas of financial advisory, equity capital markets, alternative asset management and wealth management. The firm relies on its extensive track record, in-depth domain understanding and knowledge of the economic and regulatory environment, to offer research based solutions to its clients that include institutional investors, corporations and high net worth individuals/families. In recent years, Avendus Capital Pvt. Ltd. has consistently been ranked among the leading corporate finance advisors in India and has emerged as the advisor of choice for cross-border M&A deals, having closed around 40 cross-border transactions in the past 5 years. Avendus Wealth Management Pvt. Ltd. caters to investment advisory and portfolio management needs of Family offices and Ultra High Networth Individuals / families, spanning all asset classes, while Avendus PE Investment Advisors Pvt. Ltd. manages funds raised from its investors by investing in public markets. Headquartered in Mumbai, the firm has offices in New Delhi and Bangalore.